Our Association: Moo Duk Martial Arts is an affiliate of the International Martial Arts Association (IMA) which is led by its President, Grandmaster Ki Yun Yi. The IMA has affiliate schools throughout the country and on several continents. The association demands that all of its schools meet the highest standards which are set and periodically revised by committees of well respected master instructors from all over the world. 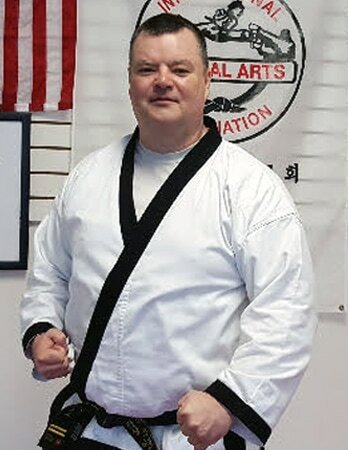 Our Head Instructor: Master Mark P. Fancher is a sixth degree black belt who has trained in the martial arts for more than 30 years. He has participated in numerous tournaments as both an official and competitor; and he has been a member of many panels presiding over rank promotion examinations. His articles on martial arts have appeared in Black Belt and Taekwondo Times Magazines. In addition to co-founding Moo Duk Martial Arts Institute with instructor Phil Ray, he has organized and administered special martial arts programs for low-income children and coordinated various special events to support charitable causes. Master Fancher has received several commendations from the International Martial Arts Association. He is an attorney by profession who is employed by the Racial Justice Project of the ACLU of Michigan. Our Instructors: Please click on the pictures below for individual Bios for our club's instructors.